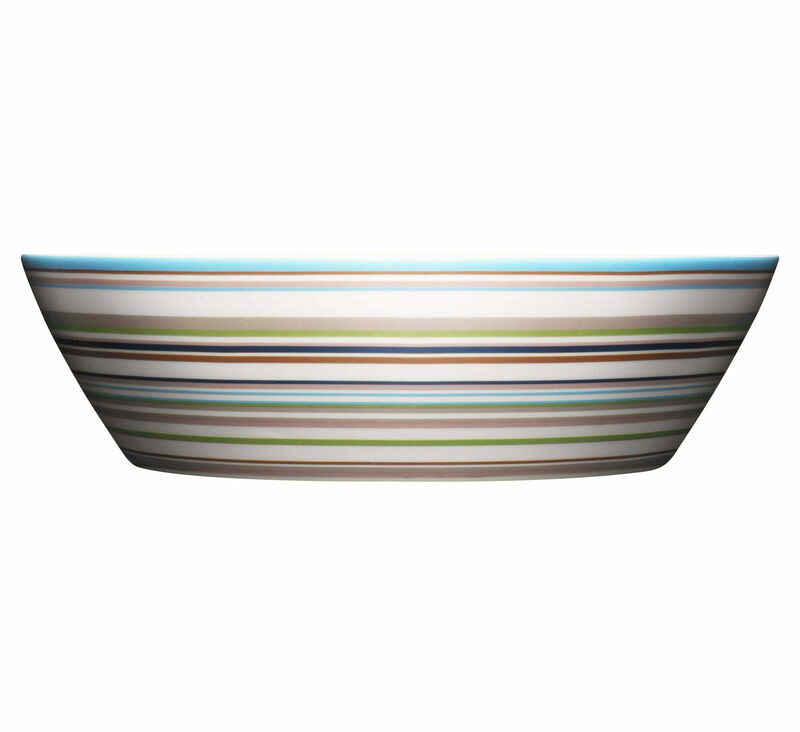 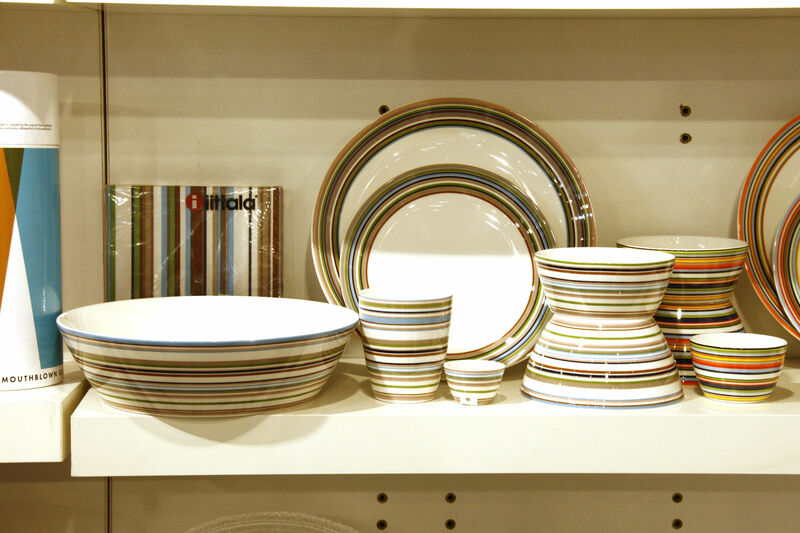 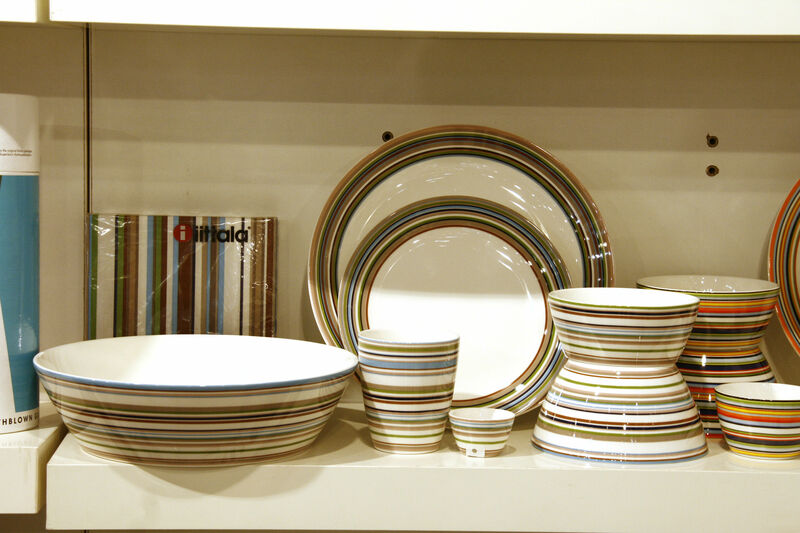 A mug and a choice of plates and bowls for diner or breakfast (cereal, cafe' Latte, sushi, dips, deserts, salads) ...Multicolor strips combinations. 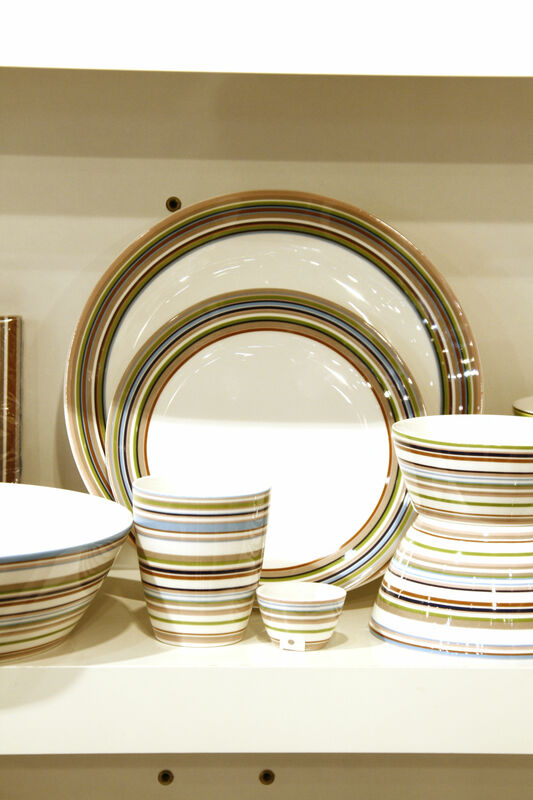 All parts are dishwasher and microwave safe. 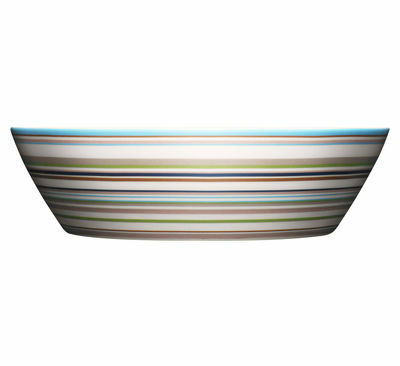 Designed in 1999 by Alfredo Häberli, and winner of 3 world renowned design awards.